The 2019 season will be a great year for the kids at Irondale Youth Ski Club. This is a volunteer led program. Every family is urged to help in some way. Please see below for volunteer information. 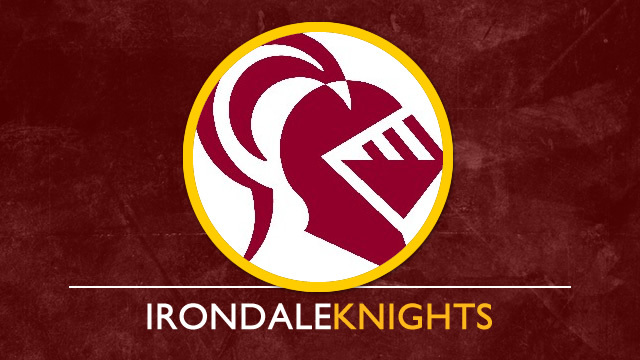 Irondale SkiSparks will meet for 8 Sundays beginning with our first meeting Sunday, January 6, 2019 from 2:00 – 3:30 PM at the Irondale High School. We will end our season at the MyXC Youth Championship and Festival, held at Theodore Wirth Park. This new club is being run in partnership with the Irondale High School Ski Team. Please consider volunteering and strengthening our ski community. Our last session will be held at Irondale High School from 2pm-4:30pm. The windchill is predicted to be low, so the ski portion of the session will be cut to 30 minutes. We will be celebrating the end of our season with a dessert party after our ski. This will also be the first gear return day. We will not ski if the air temperature is below -2˚ F or the wind chill is below -10˚ F, or at the leader’s discretion. Because the little kids ski out in the open, wind is a big factor at Irondale. Always check the website or email irondale@mysl.org with questions. We have some great equipment for skiers to use for a nominal fee - $35 for the entire season. This equipment can be taken home and used for family outings and to practice throughout the week. Please remember we have a limited number of ski packages and sizes, so register early. If you paid for rental equipment on-line but were not able to be outfitted, you will be reimbursed for the fees. Please register early to insure a spot at Irondale. Register on the main page for MYSL by selecting "Club Membership." More about skill levels here: http://mysl.org/skill-levels. Questions about levels? Contact us at irondale@mysl.org. We will be communicating with Irondale SkiSparks families via email. We need valid emails for all. When you register please include a correct e-mail address. We really need your help! This is our biggest need and is one of the most rewarding ways in which you can help the club. Kids get more out of the program when the coach-to-kid ratio is low, and coaches need not be experienced skiers to volunteer. The MYSL program makes it easy for a coach to know what to do. An eight week curriculum has been prepared for every class level and each day's lesson is printed on a card that can be carried in your pocket. The pocket guide also provides many helpful tips and games to keep classes enjoyable and interesting. You do not have to be an elite level skier to be a coach. All you need is a desire to help kids and have fun. Contact us at irondale@mysl.org to sign up. High school aged skiers, we need you! We rely heavily on high school volunteers, who are fun, friendly and in far better shape than most of us. Contact us at irondale@mysl.org to sign up. Contact us at irondale@mysl.org to sign up.